Review Summary: Thug croons, raps, and auto-tunes his way through a focused eight tracks. Slime Season 3 makes a fairly good case for the hip hop that shows a blatant disregard for lyrical dexterity (or coherency, for that matter). It's almost laughable how quickly Young Thug gained popularity given how his persona seems more like a caricature, but it's hard to resist the charisma that he exudes on his mixtapes. It took less than two years for him to get scooped up by Gucci Mane's 1017 Brick Squad Records. Soon after, he found himself on more best of year-end lists than you could shake a stick at. His singular fascination with his own success and wealth will most likely always disgruntle self-described hip hop purists. It's certainly of no matter to Thug; here, Young Thug croons, raps, and auto-tunes his way through a focused eight tracks. The short run-time of this project seems to help the poignancy of the tracks, with no song overstaying its welcome in the thirty minutes present. "With Them" boasts one of the most memorable beats of year thus far while Young Thug delivers his hard-to-define flow that somehow will roll around in your head long after the mixtape ends. "Digits" sees Young Thug successfully melding his singing and rapping to an introspective, lush beat. In case you haven't heard this yet (he literally states it at the beginning), he has "London on da Track" for four of the songs present. It isn't a coincidence that those are the ones that rank among Thug's career best. He also chooses to handle these four himself, proving that his dynamic vocal tricks can keep things interesting enough while the beats guide him through the twists and turns. And the beats here are as dynamic and multi-faceted as his lyrics are one-dimensional; overall, it shouldn't take away from the enjoyment of the final product. It's head-scratching that his output continues to skirt the line between original and ridiculousness, but perhaps his self-confidence in his artistic direction is what keeps him one step ahead of his listeners. 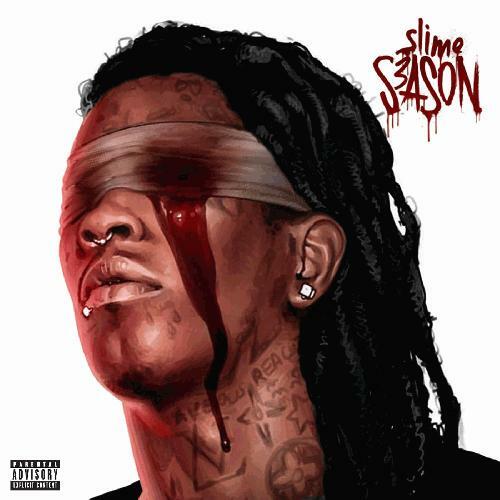 There really isn't any need to mince words here; Slime Season 3 is simply eight vapid bangers that are truly fun to listen to. Lose yourself in the debauchery. @conmaniac yeah man! So much fun to listen to. @paranoid agreed, really enjoy all of the tracks on here though. Thanks Arcade! Haha had no idea you had a review written. @game ayyyy! What's up man?